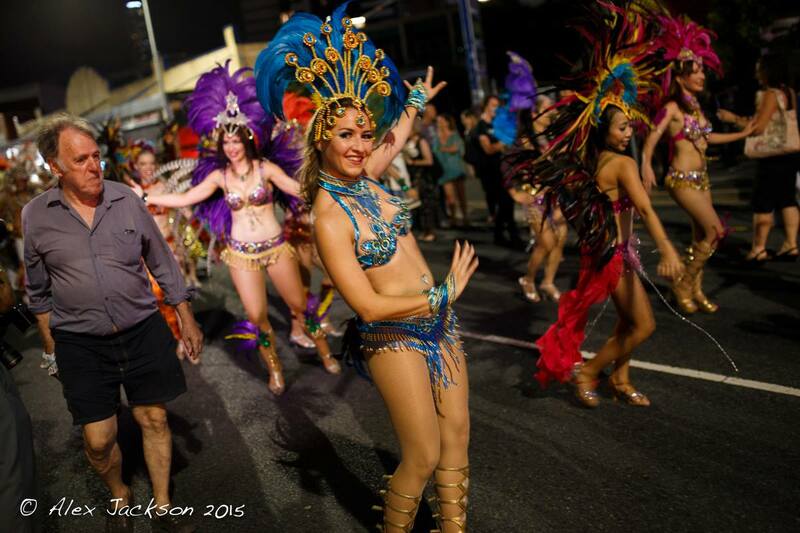 Experience Brazil right here in the heart of West End! 2016 is our 20th Anniversary and it will be our biggest parade yet starting from Vulture St at 6:30pm, Saturday 6 February. Over 150 performers and musicians will take over Boundary St and surprise the public en route to the Boundary St Markets’ Motor Room. Don’t just be an on-looker. Head to Eventbrite for details on Boundary St Carnaval Parade and how you can participate, hire a costume and get the full Carnaval experience. If you’re looking for something different on the weekend, start your Saturday at the Motor Room at 4pm for FREE live Brazilian music, dance lessons and more. The “bateria” will lead the parade for a dramatic finish at the Motor Room! Stay connected and up to date by signing up for our monthly Newsletter, Party Update & Tour info. For information about our policies on payment, cancelation, make up classes and much more please take the time to read through our Terms & Conditions. For those new to Latin dance or first time dancers you can start dancing today by enrolling online.